Genevieve Murphy Moore is a partner in the Larkspur office of Bancroft & McAlister. She advises clients on estate and gift planning through the use of wills, revocable trusts, and various types of irrevocable trusts. Her expertise includes advising clients on real property matters, business succession, charitable giving, and education planning, and the associated tax and property law considerations. In addition, she represents fiduciaries and beneficiaries in trust and probate administrations, counseling them on valuation matters, tax reporting, fiduciary requirements and allocation/distribution issues. Genevieve has practiced in this field for nearly thirty years, first in Washington D.C. until 1996, then in San Francisco from 1996 to 2013 with two multi-national firms. 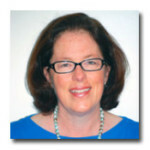 In 2013, she moved her practice to Larkspur with Bancroft & McAlister LLP. Genevieve authors two chapters in the CEB Treatise California Estate Planning on educational planning, and for several years was a frequent contributor to the online Lexis/Nexis Practitioner’s Corner on estate and trust issues. She also speaks to local interest groups on estate planning and education planning. She is past chair of the Estate Planning, Probate and Trust Law Section of the Bar Association of San Francisco, and is recognized by Best Lawyers in America and Northern California Super Lawyers in the estate planning field. She has also served on the Board of Trustees and the Alumni Board of Dominican College (now Dominican University), and the Board of Directors of San Francisco Little League. She currently serves on the Board Of Directors for The Redwoods, a Community of Seniors, in Mill Valley.